Here’s your blessing. Apologies for the future sorrows. In this latest installment of the Pantheon Pandemonium, we discuss the Greek gods and how to use themes from Greek mythology in your game. We also discuss the worst birthday gift you could possibly give your husband or wife. Hint: It’s worse than giving him or her that game you want so that you can “spend more time together”. Fashionably late as usual, Idle Red Hands now has a Twitter presence. In the future, we’ll use it to announce when new episodes go up, reveal the topics of future episodes, link episode-related media that may not have been mentioned on air, and tell you about contest updates. 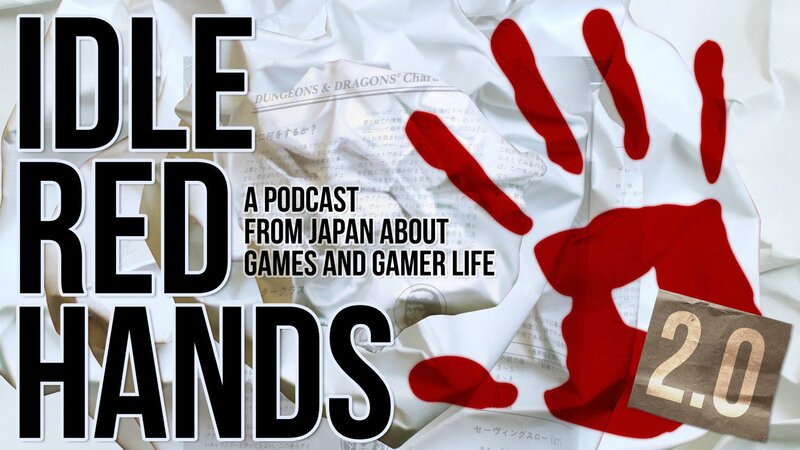 You can follow us at @IdleRedHands. Speaking of contests, the “Leave a Comment” contest is still going for another three weeks. All you have to do is log on to DriveThruRPG.com, download one of our episodes (for free, of course), and leave a comment for a chance to win a $10 gift certificate. Everyone who leaves a comment before the deadline of 11:59pm March 7th, 2012 will be automatically entered into the drawing. It’s the easiest $10 you could possibly make in your life, so don’t miss out. In this episode, we debut the first in our Warriors series. This series will take a warrior type from history and discuss key elements that you can use to make any character in any game setting a little more alive. First up, Hoplites. Are you ready to make your character worthy to stand with swift-footed Achilles and the cunning Odysseus? Tune in for an evening with Chris and Wayne as they talk about Eclipse Phase. Lyal and Yujiro are here, but you wouldn’t know it for a good 50% of the episode. Lyal really got into the posthuman spirit and Skyped in. The man is method (or wasn’t feeling very well). Unfortunately, the sound kept breaking up. Oh well. More Chris and Wayne! In this episode, we discuss what the new character roles could be in D&D 5e. We also look at THE SECRET FIRE, which promises to be nostalgic and innovative, dramatic and tactical, and all caps and, no, just all caps.